Don’t just hang out, be a good tourist! Parisians are creative people. But so are Parisian tourists. At least they will very soon become an active tribe. Believe me: gone are the years of “dolce far niente”. Over are the days when you came to Paris just to take in a few museums, do a lot of shopping and eat at some nice restaurants. No hanging out anymore, be creative, be a good tourist! Now you’re going to ask how to become part of the creative community? It’s a piece of cake. 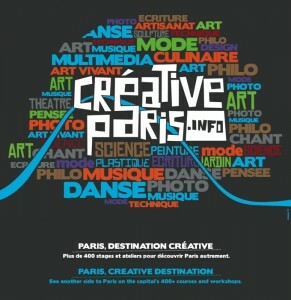 A few days ago, the city of Paris launched a new website called Creative Paris. The aim? Nothing less than this: “Paris and its creative tourism sets itself apart as a pillar of cultural, interactive and sustainable tourism”, reads the message on the site. Sounds a bit highbrow? Doesn’t matter. About 400 activities are listed on the site, from tango dancing to perfume making, from music workshops to ikebana, from gardening to creative writing or photo walks. There is something for everybody, even for kids. Here’s another site only for kids. A majority of the activities though are proposed in the culinary Arts. 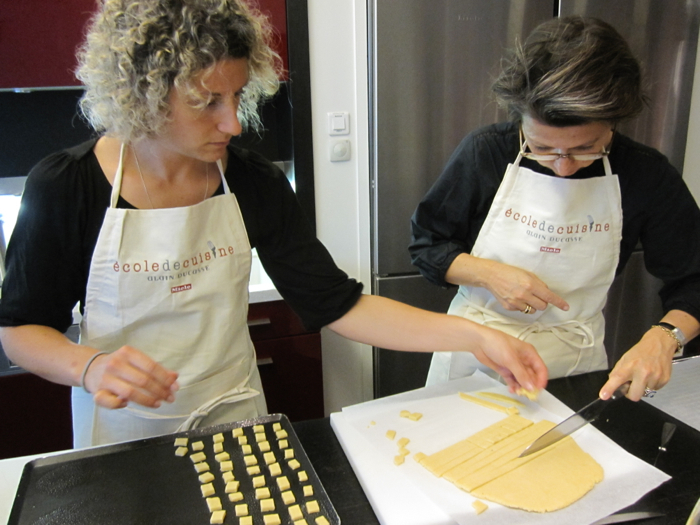 And there is much more than the official cooking classes at Alain Ducasse’s famous school. It’s Paris after all, the capital of good food and fine dining. Now you might object that you can’t follow a chef de cuisine talking that fast in his perfect French that to your ears it will only sound like submachine gun fire. Don’t worry. About a third of the activities are proposed in languages other than French. And for a lot of activities perfect French is just not necessary. I recently read, that half of the French population, and men are included here, do sewing and knitting from time to time. 66% of the women are fond of it – and it’s more and more hype among younger ones. The haberdasheries happily announce growing sales figures of wool. As a young man looking for a French girl friend, I just would take knitting classes or sewing workshops. You probably get a flirting lesson for free.